The Oak Street site would be linked to Lake Merritt by a walkway along the Lake Merritt Channel. The stadium would take 4-5 years to build and would be surrounded by what is becoming a booming retail and dining business community. 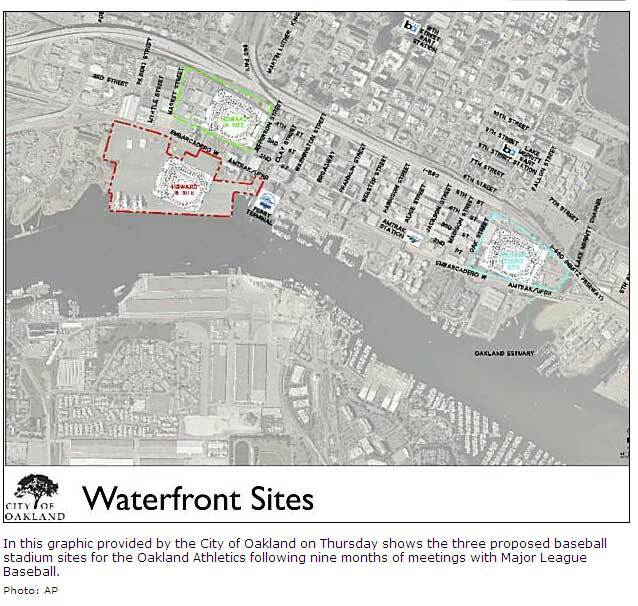 For so many years, the A’s and their dated stadium have been the ugly stepsister hiding in the shadow of the Giants and all their privilege…wouldn’t it be nice to finally let her get braces and a push-up bra and let her get some of the attention finally? I think the Oakland A’s fans deserve it. What do you think? “FHA approved” may become the most popular condominium amenity in the United States soon, thanks to the new guidelines established by the FHA to take effect February 1, 2010. The guidelines addressed the two imperatives facing condominium sales: down payments and the financial integrity of condominium associations. Both are equally important to a condominium recovery. “FHA approved” used to mean a 3.5% down payment. Starting early next year, “FHA approved” will mean 3.5% down plus a financially stable association approved by your lender. This is huge. No more than 25 percent of space allowed for commercial use. “The new FHA guidelines (combined with the almost year old Fannie Mae condominium guidelines) really make it imperative for condominium associations to get their collective acts together with respect to the financial management of the association,” counsels Attorney Vetstein. “Condominium boards need to ensure that reserve accounts are adequately funded, condo fee delinquency rates are low and that the association is generally well run financially. If they don’t, they are contributing to a drag on market value for all units due to non-compliance with the new condominium guidelines. Projects that received approval between October 1, 2008 and December 7, 2009 will be “grandfathered” and will have to follow the new guidelines’ recertification process . More buyers will enter the market because they can afford the lower down payment. No single investor can purchase more than 10% of the units, so the idea of a controlled association by one or two investors is no longer a threat. 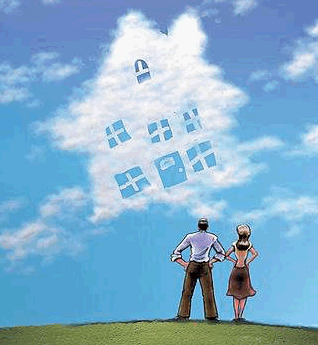 More inventory will offer wider choices tending to keep prices in check, as “FHA approved’ condominiums come on line. More real estate agents will be willing to show condominiums to their buyers, because the lender who provides the mortgage will have to approve not only the condo documents, but the condo association’s budget, reserve account and its fidelity insurance policy. New construction developers have the guidelines needed to create urgency in their pricing strategies, which is key to building and maintaining momentum. Commercial lenders will have a more comfortable level with developers. While the 50% presale requirement may look obtrusive, it is actually a benefit to the developer, because it will create urgency for buyers to purchase. Real estate agents will show FHA approved condominiums with confidence in the association’s finances, not just because the down payment is low. 10. Knowing the property already has approved lenders will make competition for listings tighter and will attract more buyers and more prospects to the listing. Brokers taking listings in condo communities without FHA financing will be competing with ones that do, making it important for associations to serious consider becoming FHA approved. First time home buyers are generally thought of as the primary market for FHA financing. There is something to that, but in today’s world, many who bought their first homes years ago and lost them during this recession will appreciate the FHA financing availability even more than those coming out of rentals. For now let’s agree that the FHA is being responsive and fair by giving new homes developers livable guidelines, associations a tool to become financially stable, and all associated with the industry, hope. There will no doubt be other changes as the market calls for them “FHA was given a difficult task under the Housing and Economic Recovery Act of 2008 (HERA) to revamp the approval process for condominium projects, and before it established its latest guidelines, invited and was open to industry experts from organizations like the Community Associations. “As a result, significant improvements to the initial requirements have been made and dialogue continues between CAI and HUD in an attempt to create regulations that will lead to greater stability in the condominium market,” Dawn Bauman, vice president of Strategic Initiatives for the Community Association Institute said. CAI is an organization representing more than 29,000 individual members, 60 local chapters, and the interests of the one in five homeowners living in a community association. For more information visit www.caionline.org. It’s good to see that the buyer’s interest is represented. It shows. And it will pay off handsomely in the days ahead. For a complete review of guideline details visit here or contact Attorney Vetstein at info@vetsteinlawgroup.com. Stunning Rockridge Penthouse – REDUCED to $819,000! Are there any bank owned (REO) properties in Lafayette, Moraga or Orinda (Lamorinda)? For more information about these properties, or for a current list of REO listings, please contact Andy Read at Caldecott Properties: aread@caldecott.com, 510.594.2400 x222. In response to requests from many of you for market data, I have prepared a comparison of residential real estate sales in Oakland for Q4 2006, Q4 2007 and Q4 2008. The numbers tell a very interesting story. Source: MAXEBRDI MLS data 2006-2008; data does not include “For Sale by Owner” and new condominium / townhouse sales not entered into MLS. From Q4 2006 to Q4 2008 for detached homes, dollar volume was down 35.9%; average sales price was down 47.0% and median sales price was down 63.6%. What does this really mean? Single family home values have not all depreciated 47%-64% (though property values in all Oakland zip codes are lower than they were in 2006). The majority of home sales in Q4 2008 were bank owned (“REO”) and short sales in neighborhoods with lower average property values attractive to investors, builders and first time home buyers. In addition, fewer high-end properties sold as jumbo loans were virtually non existent; homebuyers didn’t want to sell their existing homes in a declining market to up or down size; down payments were lost in the declining equities market; and the uncertainty that comes with and increased unemployment rate. If we compare Q4 2006 with Q4 2008 for condos / townhouses homes, dollar volume is down 41.5%; average sales price is down 24.2% and median sales price is down 27.8%. The two major factors for the decrease in sales and median prices were an increase in REO and short sales and a decrease in new construction sales that typically sell for more $/square foot. Property values will not increase until we can greatly reduce the supply of properties in Oakland. The best two ways to improve this: 1.) Don’t sell your home unless you have to; and 2.) Buy something! We have not seen prices so attractive with interest rates so low for a very long time. Now is the time to invest (more) in Oakland. Please feel free to call if you’d like to find out what’s happening in your neighborhood, or if you would like to learn more about attractive deals on the market.